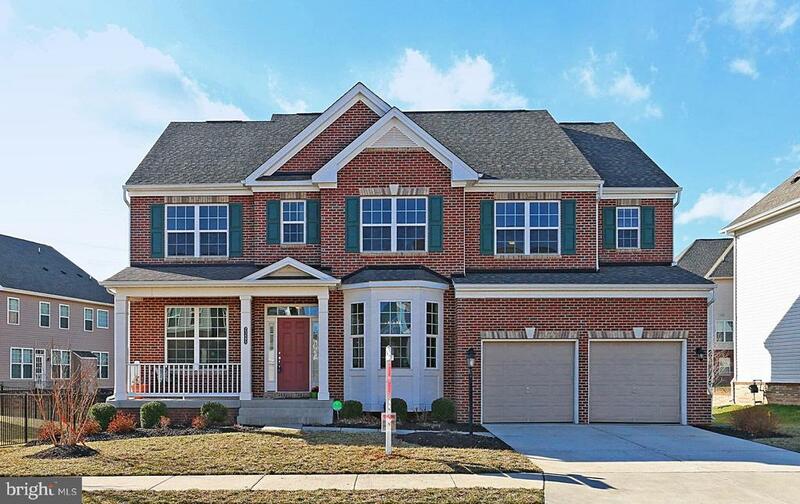 All Brambleton homes currently listed for sale in Brambleton as of 04/22/2019 are shown below. You can change the search criteria at any time by pressing the 'Change Search' button below. 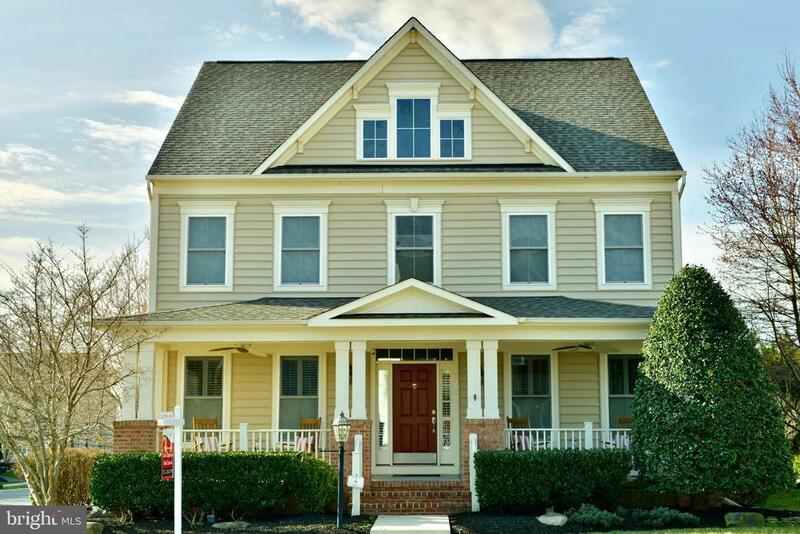 If you have any questions or you would like more information about any Brambleton homes for sale or other Brambleton real estate, please contact us and one of our knowledgeable Brambleton REALTORS® would be pleased to assist you. "IMMACULATE 6 BEDROOM+4 FULL BATH COLONIAL WITH OVER 4400 SQ FT FINISHED BACKING TO TREED COMMUNITY MEADOW AND WALKING TRAILS--BRIGHT HOME WITH MANY LARGE WINDOWS AND 9 FT CEILINGS--MAIN LEVEL HARDWOOD FLOORS--EXTENSIVE CUSTOM CARPENTRY ON ALL LEVELS--MAIN LEVEL BEDROOM AND FULL BATH--GOURMET COUNTRY KITCHEN WITH GRANITE COUNTERS,DOUBLE BOWL UNDER COUNTER SINK,TILE BACK SPLASH,42 INCH MAPLE CABINETS, ENERGY STAR SS APPLIANCES,LARGE CENTER ISLAND WITH ADJOINING COZY FAMILY ROOM WITH GAS FIREPLACE--UPPER LEVEL HAS SECOND FAMILY ROOM,MASTER BEDROOM SUITE WITH LUXURY BATH AND TWO WALK IN CLOSETS,THREE OTHER BEDROOMS AND LAUNDRY ROOM--LOWER LEVEL REC ROOM,BEDROOM,FULL BATH AND ROUGH IN FOR FUTURE WET BAR/KITCHEN--THIS IS AN ENERGY EFFICIENT GREEN HOME--look at docs"
"Now returning to the market after a tropical vacation (the owners) and a rejuvenating Spring spa like treatment (the house)! Spring has sprung! 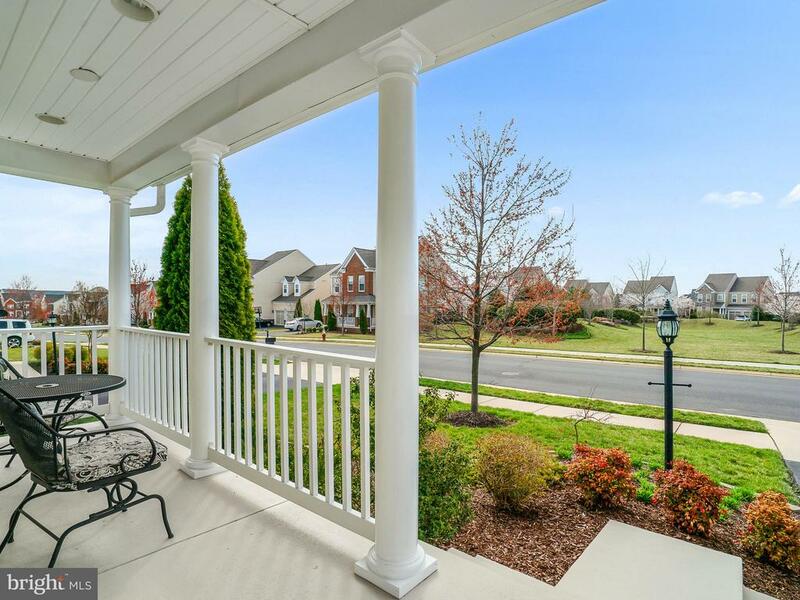 Allow the extensive landscaping updates and flourishing growth welcome you to your own private vacation-like oasis; nestled right in the heart of Brambleton! ~ Although only 4 miles from Dulles Airport, your new favorite vacation spot will now be accessible through your screened in porch and into your landscaped yard with a custom 30-foot custom built gunite salt-water pool. ~ From the moment you walk into this spacious home with an open layout, 10-foot tall ceilings, crown molding, custom plantation shutters, and gorgeous Maple hardwood floors flooded with natural sunlight, you'll rightfully feel you're in for a special treat. ~ The kitchen, the heart of the home, is a foodie's dream come true. Perfectly positioned for entertaining as it has a clear view of the living room, dining room, breakfast nook, and your private pool! ~ After a day relaxing in your backyard, it's time to head downstairs with family and friends to the theater room. Whether you're binge-watching your new favorite series, watching the big game or gaming with your friends, this room will see lots of action! Maybe more so than the gym in the room across the hall! The adjoining gym full bath features a shower and full-size hot stone sauna. ~ When it's time to go to bed, make it to the top floor and you'll find the owner's suite and FOUR ADDITIONAL BEDROOMS. A rare find with a total of 5 large bedrooms 4 full baths ALL UPSTAIRS! ~ Don't forget to check out the floorplans!" "One of the best lots in the neighborhood! Over 5,000 square feet situated on a private, fenced lot backing to trees in desirable Brambleton. Pride of ownership evident both inside and out! Many recent updates including new roof, water heater and upgraded plantation shutters. Hardwood flooring throughout main level. Gourmet kitchen with eat-in breakfast room, leads to the spacious family room adorned with cozy wood burning fireplace. Main level office. Large screened-in porch off kitchen, overlooks the scenic, fenced flat backyard. Perfect for entertaining and relaxing. Fully finished lower level with outdoor access, rec room, bedroom, full bath and built ins. Many great community amenities and top notch schools. HOA fee includes Internet and Cable. Nearby to major commuter routes. You won't want to miss this gem. (Deluxe Fridge/Freezer in garage do convey)." "**Price Reduced! 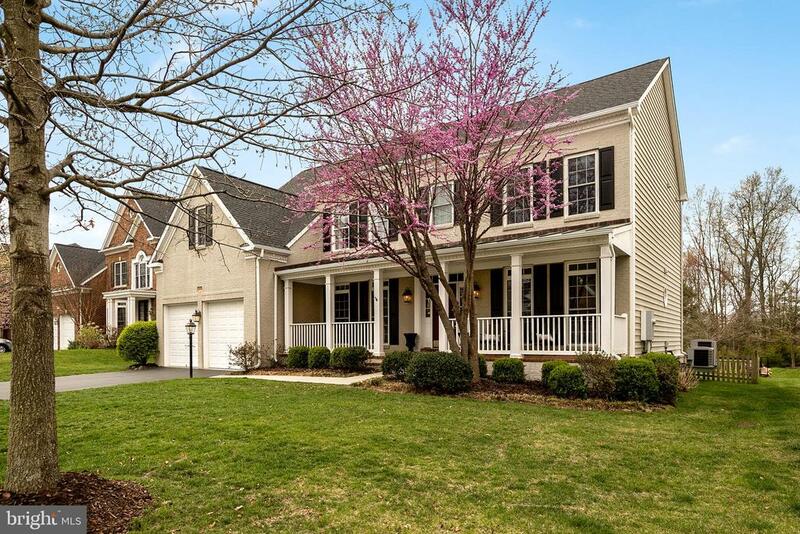 **Beautifully updated and pristine home in Brambleton, backing to Woolsey Park. 5BR up including private suite with separate stairs from kitchen, perfect for in-laws or a nanny. Rare 3 car garage. Updated kitchen with newer SS appliances and granite. Brazilian HW floors throughout main level. Light and bright FR with stacked stone fireplace. Large office with wainscoating. New carpet upper level. MBR suite with sitting room. New engineered wood flooring lower level. Legal 6th bedroom lower level. Paver patio with gas line for grilling. New roof and hot water heater 2018. Short walk to Legacy Elementary. A must see!! Open Sunday 4/14 1-4 PM." "Highly desired Heritage Model with aprox. 5,000 sq. ft of living space.From the quiet tree lined street to the welcoming front porch with open views 42612 Willow Bend dr. has all the desired upgrades that you are looking for.Main Level: Gleaming Hardwood Floors, Spacious Open Floor Plan, Gourmet Kitchen w/ Stainless Steel Appliances, Double Oven, Granite Counters, Large Center Island perfect for entertaining, 42 inch Upgraded Cabinets, Breakfast Bar & Pantry. Kit. opens to Sunroom and Family Room. FR has upgraded Gas FirePlace & Extensive Moldings, a Half Bath in the hall that leads to the oversized 2+ Car Garage. Home Office or your 5th Bedroom has an attached Full Bath, Formal Dining Room w/ Beautiful Panel & Crown Molding. Whole house sound system.Upper Level: 4 Bedrooms. As you walk up to the second floor note the upgraded Hardwood Staircase leading to the large open Loft. The elegant Master Suite boasts a Wall of Windows & Tray Ceilings, Master Bath with upgraded Granite Counters, Soaking Tub & Dual Vanities. Three truly Spacious Bedrooms include a large Walk-in Closet & Princess Suite (Full Bth)an additional Hall Bath with Double Sink, Laundry Room w/ Sink complete this fantastic upper level floor plan.Lower Level: Finished Open Rec room, Home Gym, Storage Room, Sixth Bedroom w/ Full Bath Connect Stairs for easy access to yard.Exterior: Professionally Landscaped, Flower Beds, Irrigation System,Trex Deck w/steps to the Fully Fenced Yard.HOA: Includes Verizon Fios High Speed Internet and TV with over 250 Channels. 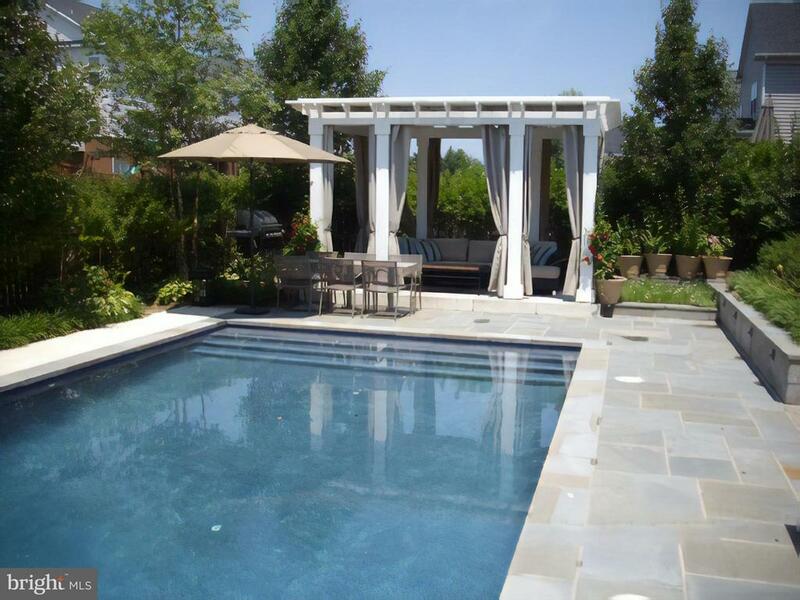 Tons of Brambleton Amenities: Parks, Pools,Paths,Sport Courts etc. 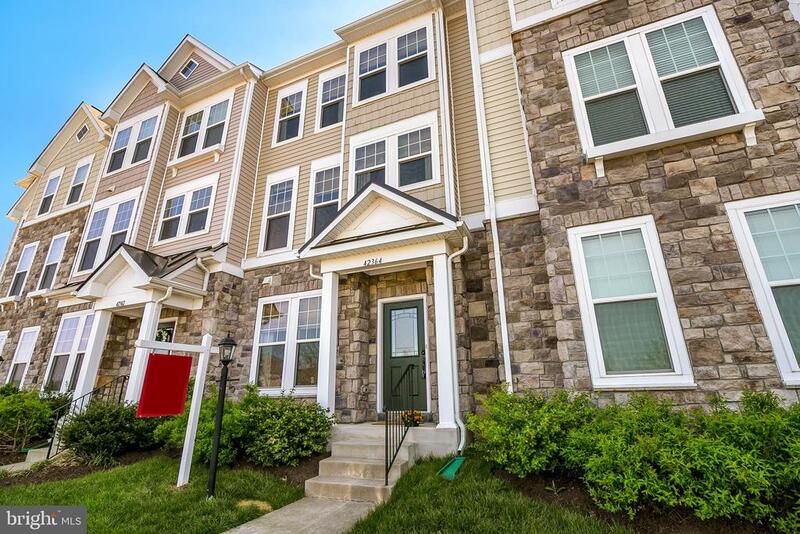 etc.What~s Close By: Playground, Walking Path, & Free Little Library Box are at the end of the street, Creighton Elementary School is around the block, Brambleton Commuter Park & Ride & a Day Care are just across the road. Close to Town Center w/ Movies, Stores, Eateries, Public Library, etc. Minutes to Greenway, Future Metro Stop & Dulles AirportHurry Up! This is YOU"
"No need to shop for new construction, this homeowner took meticulous care in keeping this home looking like new. 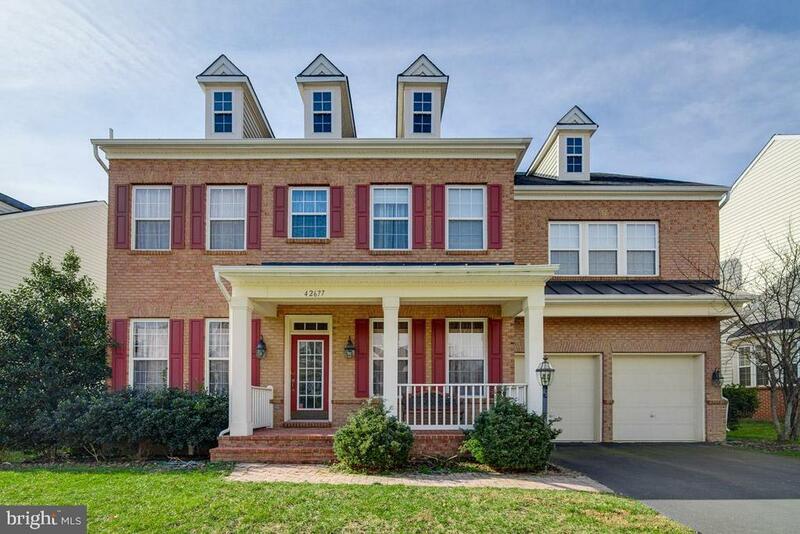 This 4500+sf home is located ideally in Brambleton convenient to schools, shopping and Dulles Toll Rd. All 4 levels are spacious and bright. Custom paint throughout. The inviting kitchen is complete with granite, double oven, gas cooktop and island perfect for entertaining. You won't want to miss the 4th floor bonus room with separate bedroom and full bath. The basement is perfect for entertaining, complete with media room and wet bar. The washer/dryer on the 2nd level is practically brand new and the master suite will be your own private oasis with separate sitting area, large walk-in closet and spa-like bath with separate shower and soaking tub. Don't forget to walk throughout the entire master closet which is huge and organized! New roof in 2018. Welcome Home!" "NEW ON THE MARKET ~ Welcome Home! This beautifully updated 6 Bedroom, 4 Full Bath property has it ALL, including a 3-Level Extension! From the Cozy Front Porch to the Bright Eat-In Kitchen, this home shines! The main level features a Spacious, Open Floorplan. A Sunny Front Living Room flows into a Large Dining Room with Elegant Wood Molding and a Bay Window. The Spacious Family Room includes a Gas Fireplace and lots of Natural Light -- and opens directly into the Beautiful Gourmet Kitchen. A Gorgeous Kitchen Island is perfect for a Gathering Spot, while a Gas-Cooktop & Double Wall Ovens make this kitchen fabulous for Entertaining. Space for a large table in the kitchen makes this main level even more welcoming! A Main Level Bedroom that adjoins a Full Bath is an added bonus -- and convenient! The Upper Level features a Huge Master Bedroom with a Large Sitting Area and Sizable Walk-In Closet. A luxury Master Bath is also yours to enjoy. Three additional bedrooms on the Upper level include Walk-In Closets and lots of natural light. A separate upper level laundry room is an added bonus! The Lower Level include a wide walk-up access to the backyard -- letting in lots of natural light. A legal 6th Bedroom with a 4th Full bath, huge Recreation Room, and Lots of Storage complete the Spacious Lower Level. Built in 2013! Don't Miss This One!" 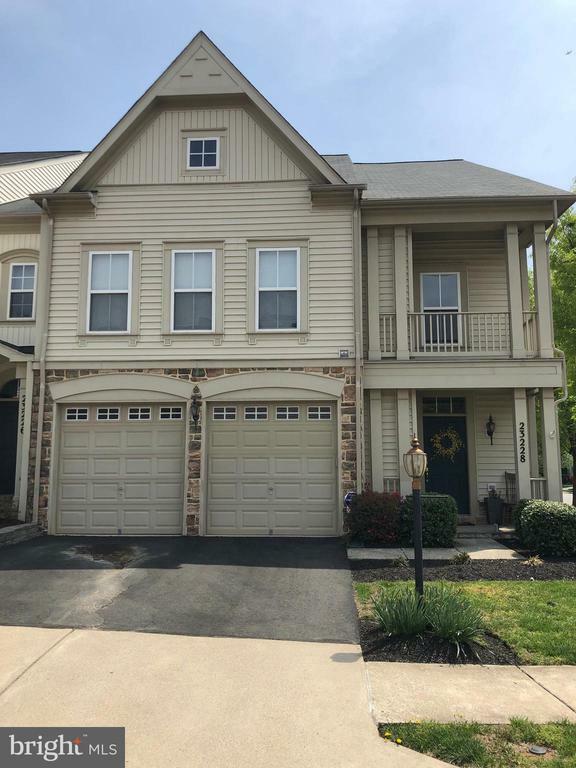 "**Gorgeous END UNIT townhome** Upgraded Gourmet kitchen with quartz counters, upgraded cabinets & a spacious kitchen island. Wall to Wall sliding glass doors leads to an oversized deck with pond views. Don~t miss the 4th level full-size rooftop terrace!" "Short sale price approved - seller is looking for a quick offer. 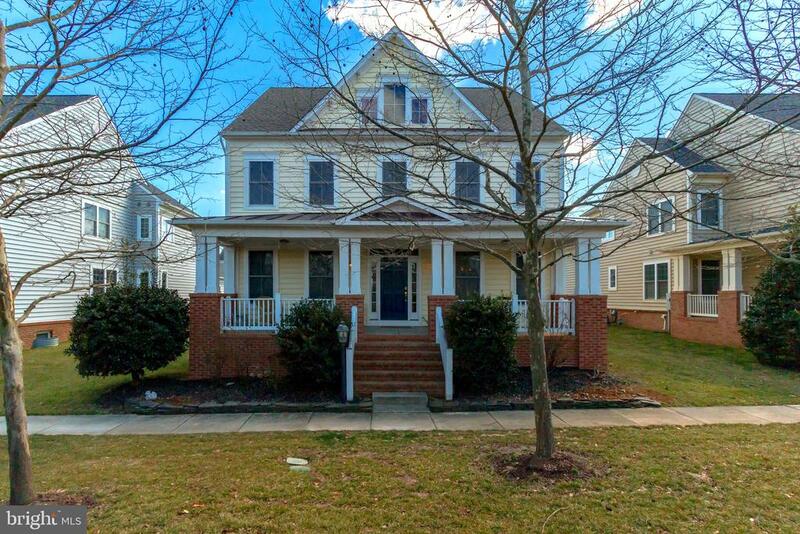 Don't miss this chance to buy a beautiful home with 4 bedrooms up, 4.5 baths, two story family room, large dining room, great kitchen and screened porch plus deck and level rear yard - all on a quiet street!" 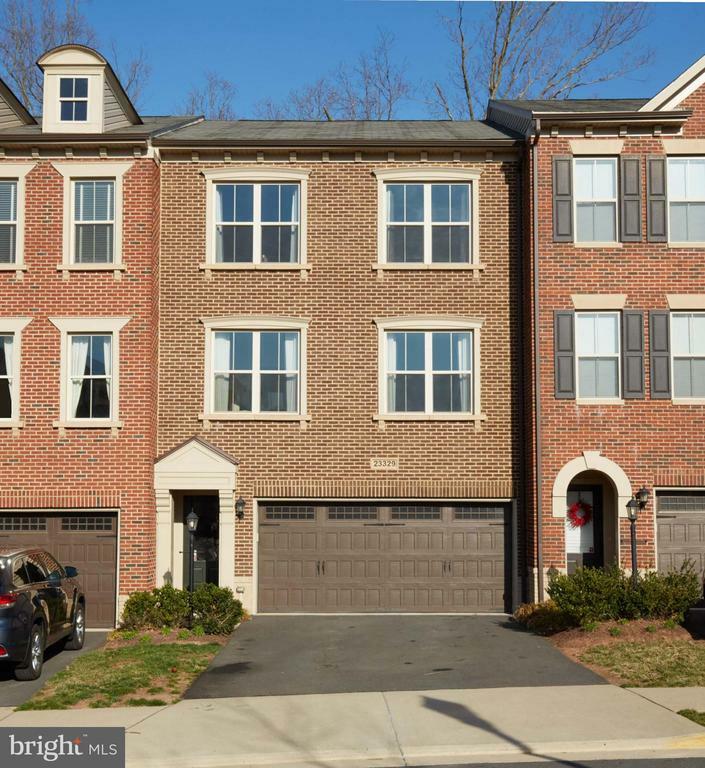 "**Gorgeous END UNIT townhome** Upgraded Gourmet kitchen with quartz counters and upgraded cabinets. Study leading out to covered veranda. Large master bedroom with huge walk in closet. Spa like shower with tile to ceiling and frameless enclosure and separate soaking tub." "This immaculate 4 bedroom 3.5 bath home is perfect for you. Highlights include 10ft ceilings on main level, hardwood floors in the foyer, family room and kitchen.The kitchen is complete with breakfast nook, granite, huge island and stainless steel appliances. The main level study is complete with french doors. 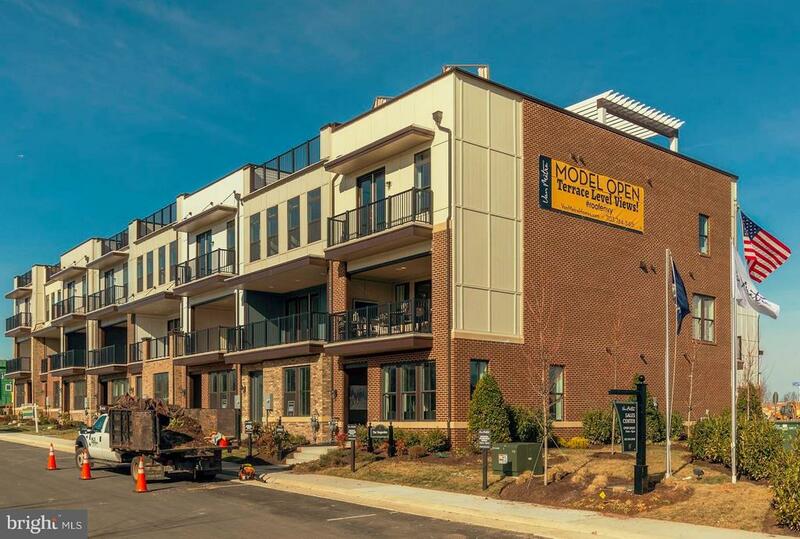 On the upper level you will find owner suite with luxurious master bath and huge walk in closet, plus three additional bedrooms, full bath and the laundry room. The walk out lower level boast a bonus room and full bath plus huge recreation room for entertaining. 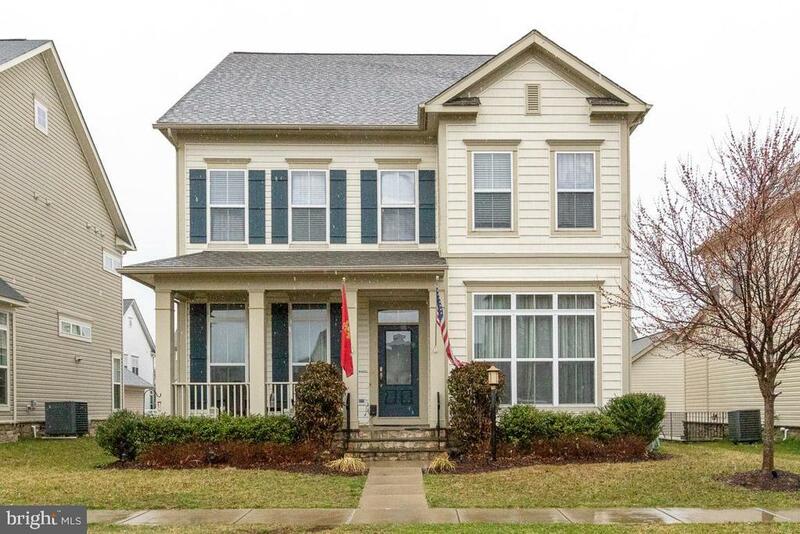 This well priced home is in a terrific, sought after community of Brambleton complete with schools, shopping and pools that will make this home hard to resist. Recent upgrades to carpet and roof are an added bonus." "MODELS NOW OPEN 10AM-5PM!! 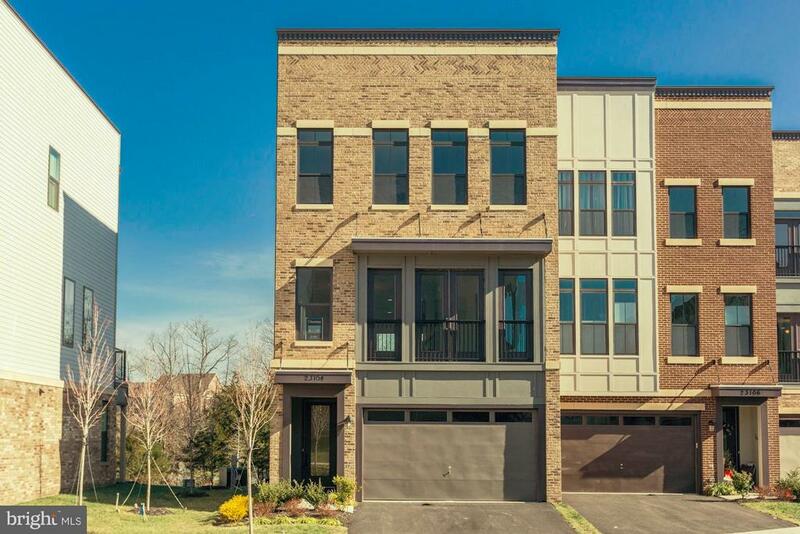 LUXURY AWAITS IN THIS BRAND NEW VAN METRE 2 CAR GARAGE TH. GOURMET KIT W/ 42 CABINETS, ENERGY STAR SS APPLIANCES & GRANITE. HW FLOOR ON MAIN LEVEL. OPTIONAL DEN/STUDY. OPTIONAL COVERED VERANDA OFF THE MAIN LEVEL. LUXURIOUS MASTER SUITE WITH OVERSIZED SHOWER. OPTIONAL ROOFTOP TERRACE W/ TRELLIS, BALCONY OFF REAR OF HOME & BALCONY OFF MBR." "**INVESTORS ONLY** Tenants until 8/2020. Bright & immaculately maintained end unit townhome w/ fenced back yard, patio & surround sound. Great for entertaining inside & out with an open floor plan and well designed spaces. Hardwoods floors greet you as you flow past the dining room and separate study into the family room featuring a gas fireplace, and built-ins cabinets w/ surround sound. The large Kitchen gleams w/ granite countertops, stainless steel appliances, a breakfast bar, & double wall ovens. Large Master suite w/ tray ceiling and luxurious master bath w/ 2 vanities, sep shower and soaker tub. 3 generous sized BRs and large loft area great for study/reading or 2nd family room with hardwood floors. Updates include: 2018: replaced most of the roof, 2017: HVAC replaced, 2016: New GE Washer/Dryer and Microwave, 2015: New Bosch Dishwasher, 2006: New GE Refrigerator. Walk to schools, trails, parks and more. 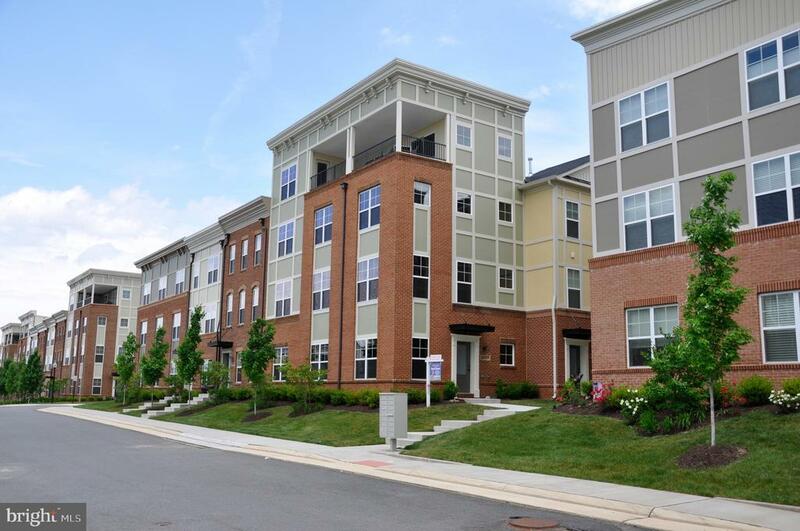 Be close to it all - just over 1 mile to Brambleton Town Center and brand new library." "Spectacular Brick Front Winchester Garage Townhouse backing to Loudoun County Parkland ~ Over 2,840 Finished Sq Feet ~ Main Level Study ~ Hardwood Main Level ~ Trex Deck, Patio & Fenced Rear Yard ~ Hardwood Stairs & Upper Hall Hardwood Floors - Gourmet Kitchen features Center Island, Granite, Stainless Appliances & Ceramic Tile Backsplash ~ Owner~s Suite is highlighted by Tray Ceiling, Walk-In Custom Closet, Master Bath Soaking Tub & Separate Shower - Lower Level Recreation Room New Hardwood Floors including a Gas Fireplace & 3rd Full Bath walk out to rear yard ~ Brambleton Features 4 Pools, 18 Parks, Basketball, Tennis & Volleyball Courts"
"PRESCOTT. 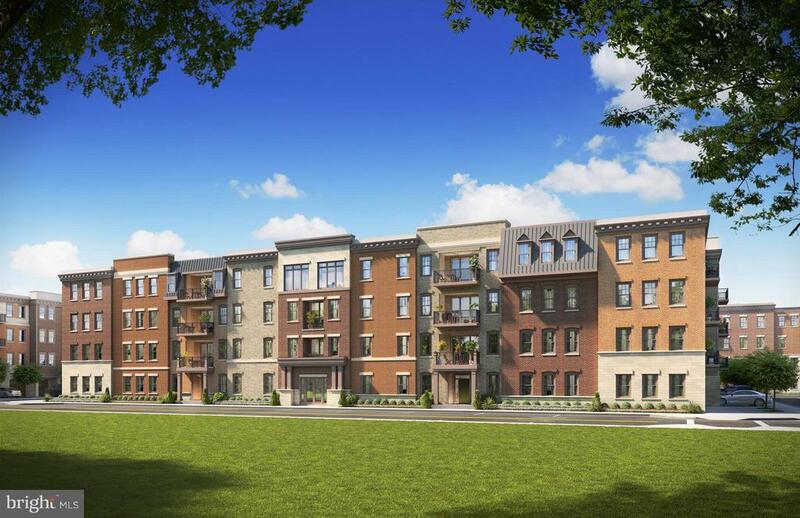 This to be built End Unit is Steps away from Brambleton Town Center. 2343 sq ft of living space with 3 Bedrooms on the third level. 2 1/2 Baths. 2 car garage. End Unit. Rec Room Ground Floor. Great Room 2nd Floor. 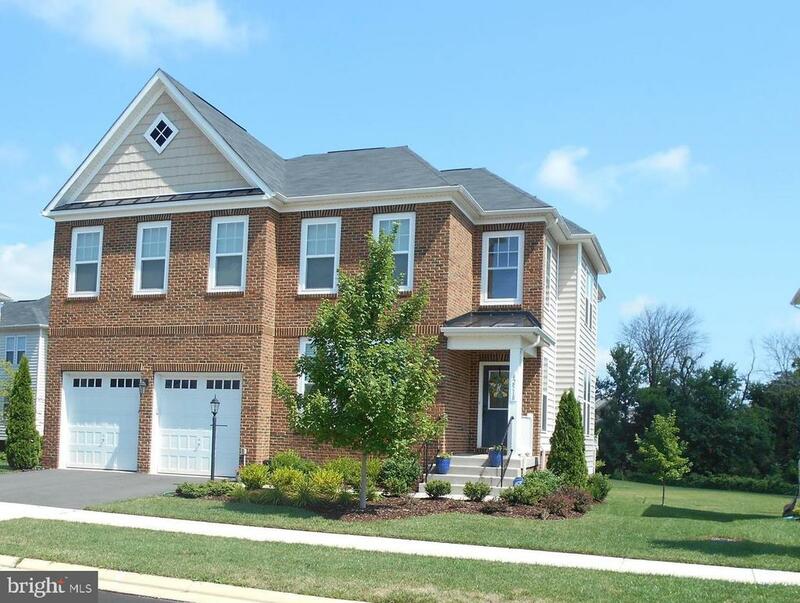 For information on this home visit the model at 22935 Sullivans Cove Sq. Brambleton"
"This rarely available Camberley home is a knockout with urban-inspired living & mountain views! Open floor plan, every upgrade - granite, stainless, hardwood. Unique options - interior brick wall, kitchen island with built in table. Full level master suite with rooftop deck and mountain views. Professionally decorated. Custom built-ins in office, and third-level bedrooms. No lawn maintenance! 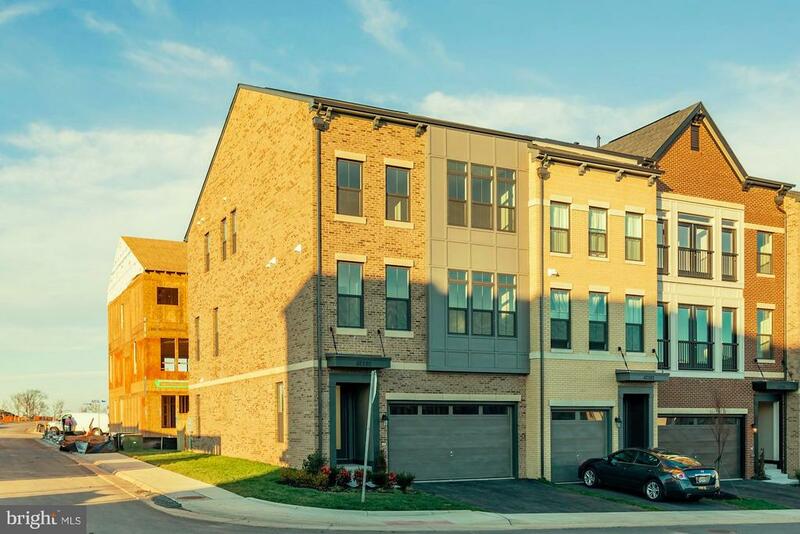 Walk to Briar Woods High School, pool & Brambleton Town Center with restaurants, shops, theater and state-of-the-art Brambleton Library. HOA Fee includes Verizon Fios Internet and cable." 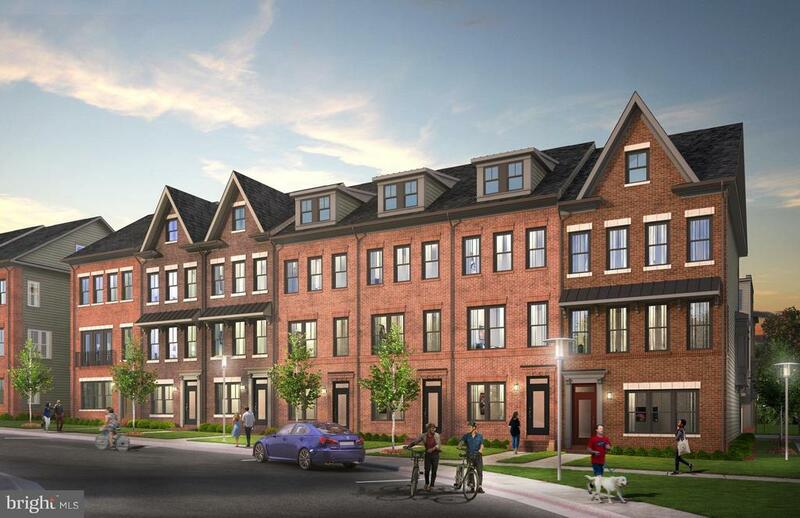 "BUILD YOUR BRAND NEW MILLER AND SMITH WHITLEY HOME IN BRAMBLETON GARDEN DISTRICT!! Come see our new plans, new designs, and be amazed with our architectural design. 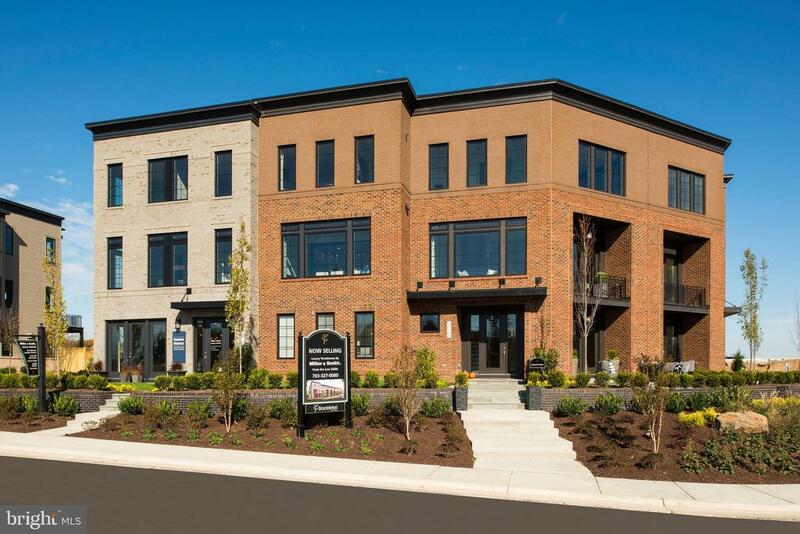 There has never been a better time to purchase one of our new Miller and Smith Garden Townhomes. Visit us at our Decorated Model open daily 11-6. This is a base price listing on a to be built home. Photos are of the model." 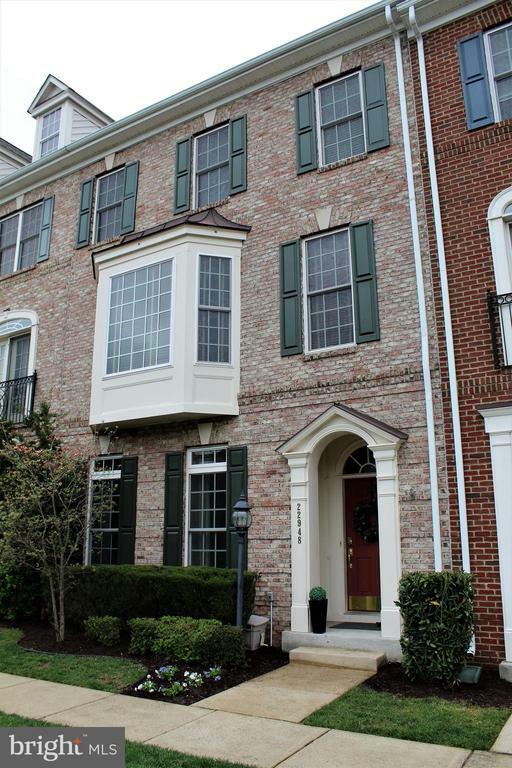 "BRAMBLETON TOWN CENTER - STUNNING 3-Level Townhome with 3010 Finished Sq Ft. Main Level with Wide Plank Hardwood Floors and Crown Molding. Elegant Formal Living Room. Dining Room with Chandelier and Chair Rail. Family Room off Kitchen with Gas Fireplace and Built-Ins. Gourmet Kitchen with Island, Stainless Steel Appliances, Pantry and Double Wall Ovens. Bumped-Out Breakfast Area and Access to Beautiful Private Courtyard with Brick Pavers and Detached 2-Car Garage. Walk to Legacy Park and Brambleton Town Center. Open Saturday 1-4 PM." "This bright and sunny home is pristine and gorgeous. A rear loading garage allows for beautiful curb appeal with portico and and gorgeous partial stone front. The main level has lovely wood flooring and lots of upgrades. You will love how this open floor plan flows together in a way perfect for entertaining. Centrally located, the kitchen has an astonishing HUGE kitchen island, unique pendant lights, cherry cabinets, stainless steel appliances and granite counters. From the family room walk out to a large composite deck. Upstairs in the master suite is a large bedroom with tray ceiling and custom chandelier, walk in closet with luxury bath. The lower level has finished recreation room and full bath. Tons of shopping, dining and recreation close by. Hurry this home won't last long!" "MODELS NOW OPEN 10AM-5PM! 55+ ACTIVE ADULT COMMUNITY! MOVE IN NOW! LUXURIOUS BACK-TO-BACK CONDO WITH PRIVATE ELEVATOR AND ATTACHED 1-CAR GARAGE! 9' CEILINGS, STAINLESS STEEL APPLAINCES, QUARTZ COUNTERTOPS AND GREY CABINETS IN KITCHEN AND BATHROOMS. SPACIOUS LIVING AREAS WITH ENGINEERED HARDWOOD IN THE KITCHEN AND GREAT ROOM. LARGE OWNER'S SUITE." "MODELS NOW OPEN 10AM-5PM! 55+ ACTIVE ADULT COMMUNITY! LUXURIOUS BACK-TO-BACK CONDO WITH PRIVATE ELEVATOR AND ATTACHED 1-CAR GARAGE! 9FT CEILINGS, GOURMET KITCHEN WITH STAINLESS-STEEL APPLIANCES. GRANITE COUNTERTOPS IN THE KITCHEN AND MASTER BATHROOM. SPACIOUS LIVING AREAS. ENGINEERED HARDWOOD ON SECOND LEVEL. LARGE MASTER BEDROOM WITH WALK-IN CLOSET IN ITS OWN LEVEL." "MODELS NOW OPEN 10AM-5PM! 55+ ACTIVE ADULT COMMUNITY! MOVE IN NOW! LUXURIOUS BACK-TO-BACK CONDO WITH PRIVATE ELEVATOR AND ATTACHED 1-CAR GARAGE! 9' CEILINGS, STAINLESS STEEL APPLAINCES, GRANITE COUNTERTOPS IN KITCHEN AND BATHROOMS. SPACIOUS LIVING AREAS WITH ENGINEERED HARDWOOD IN THE KITCHEN AND GREAT ROOM. LARGE OWNER'S SUITE." "NEW BUILDING RELEASED! 55+ ACTIVE ADULT COMMUNITY! 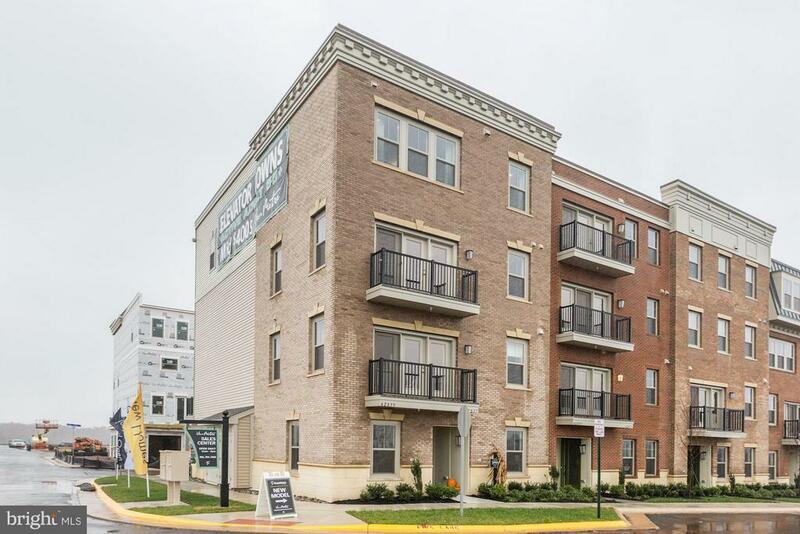 CHARMING BIRCHWOOD FLAT OFFERS ONE-LEVEL LIVING WITH AVAILABLE 1-CAR GARAGE! STAINLESS STEEL APPLIANCES AND GRANITE COUNTERTOPS IN KITCHEN AND BATHROOMS. ENGINEERED HARDWOOD THROUGHOUT MAIN LIVING AREA. ELEGANT MASTER BEDROOM W/ SPACIOUS WALK-IN CLOSET! 9 FT CEILINGS AND BALCONY. AVAILABLE IN 7 FLOORPLANS."